I know I have. And it frustrates me to watch so many other cultures (and their stories)– Jewish, Italian and others, be featured prominently on film and on TV. Yes, we get an occasional character, or mention… Or an occasional Greek wedding scene… But apart from a “Zorba” or “My Big Fat Greek Wedding” that come along once a decade, we rarely see Greece, Greeks or Greek stories portrayed prominently to mainstream audiences in film. Today is the final day of a crowdfunding campaign that the Greek America Foundation has undertaken to bring one such Greek story to the big screen. 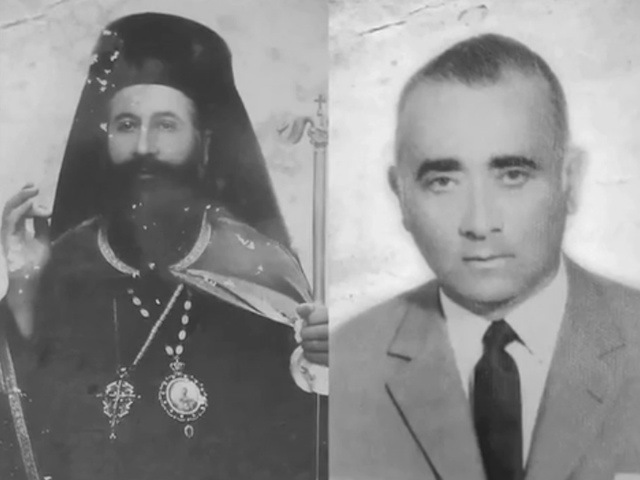 It’s the story of a mayor and an Archbishop of a Greek island in the Ionian Sea who led their 35,000 Christian citizens to completely defy Hitler’s final solution and stare hatred in the face. It’s one of the greatest stories of humanity of our generation– not just of Greece and the Greeks, but of the world. Two men and an entire population of an island without a single traitor, harboring an ancient but hunted community of people who were chosen for extermination because of their faith. Two men and 35,000 citizens risking death and destruction, as the Nazis were known to perpetrate throughout Greece. But this isn’t a story of Christians saving Jews. No. It’s bigger than that and beyond that. It’s a story of humanity. It’s a wonderful opportunity for a timeless Greek story to teach the world what humanity means, what compassion means and what the value of life means. Please consider supporting this campaign on this final day before the campaign expires. There are only a few hours to go. Click here to add your voice to this up-to-now silent story.